Gorgeous 1.6 A lot that abuts American Legion Forest and is part of the American Legion Acres. Massive virgin trees align this lot line. The home is 2 bedrooms, full bath, Living Area and Kitchen. Warm yourself in the winter with the awesome woodburning stove. Full basement had some water issues and K-Tech successfully performed mold remediation 8/15/18. There is a drilled well and septic info attached at the docs tab. Please call Oneida Zoning with additional questions. The property offers a 2 1/2 car garage, 832 sq ft, is 26&apos;x32&apos;. Property is being sold by the deceased owners successor trustee and she can make no claims to the property as she has never lived there. See Docs tab for add&apos;l info. 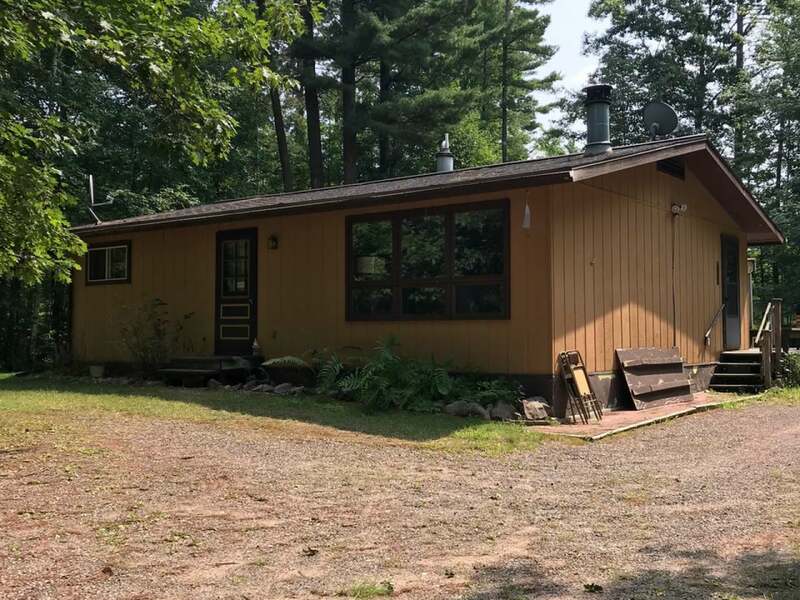 A little TLC and you will have a wonderful home in the gorgeous Northwoods located in Lake Tomahawk right between Rhinelander and Minocqua. Great Location, beautiful property at a GREAT VALUE!